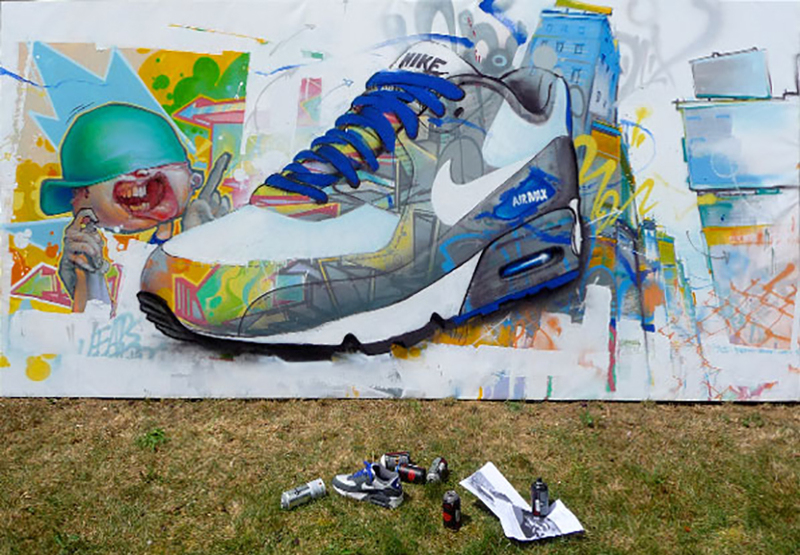 Apple wanted to show customers how powerful their new iPod Hi-Fi was. 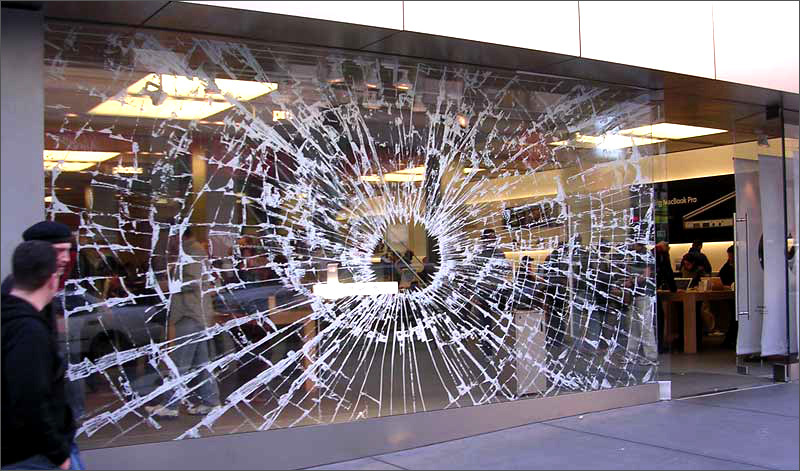 So they created a custom made sticker to stick to their storefront window to make it look like the glass had shattered. This jewelry store had the brilliant idea of placing stickers of their necklaces on the bathroom mirrors so women could imagine themselves with the necklace on. 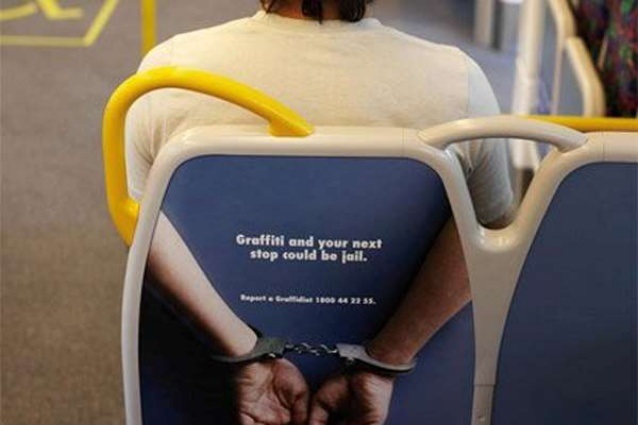 In order to minimize graffiti on public buses, the Australian Public Transport Authority came up with the idea of pasting stickers to the bus’ seat backs showing someone with their hands behind their back in handcuffs with the message “Grafitti and your next stop could be jail.” Effective and creative. Folger’s had the brilliant idea of pasting a sticker of a full cup of coffee over manholes. 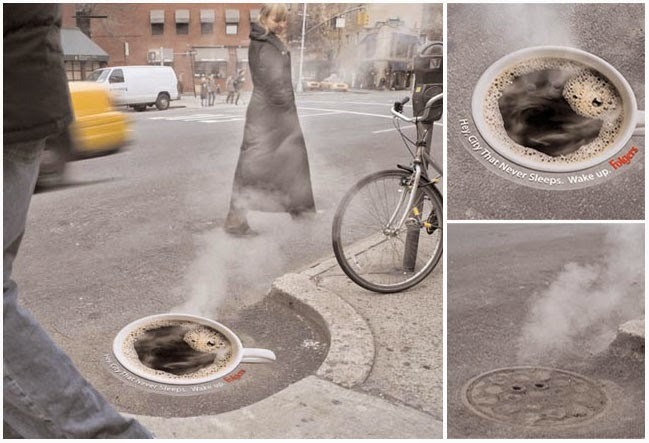 When steam comes out of the manholes, it looks just like a steaming cup of coffee. 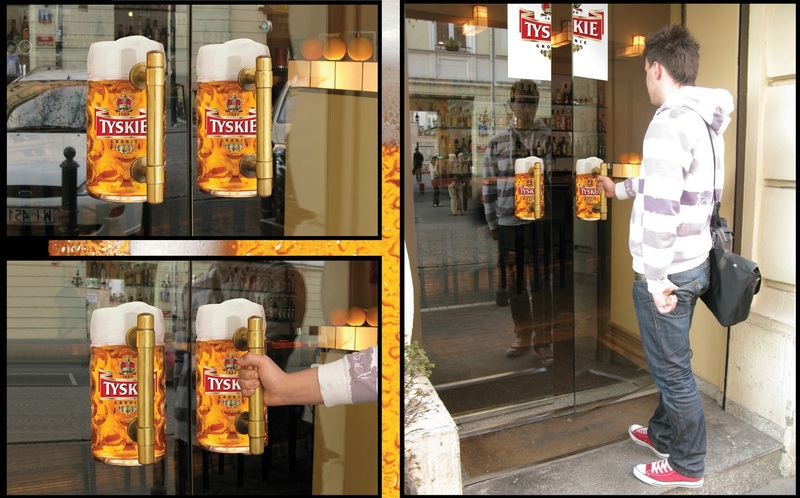 This beer company had the brilliant idea of placing stickers of beer mugs over their door handles to simulate picking up a frothing mug of beer. 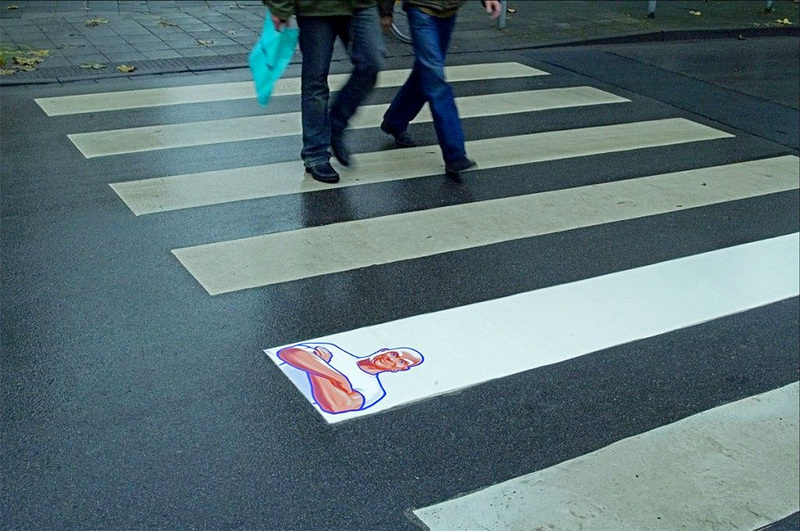 The famous floor cleaning product showed its stuff by placing an ultra-white sticker over a crosswalk strip with the iconic Mr. Clean stamped over it. 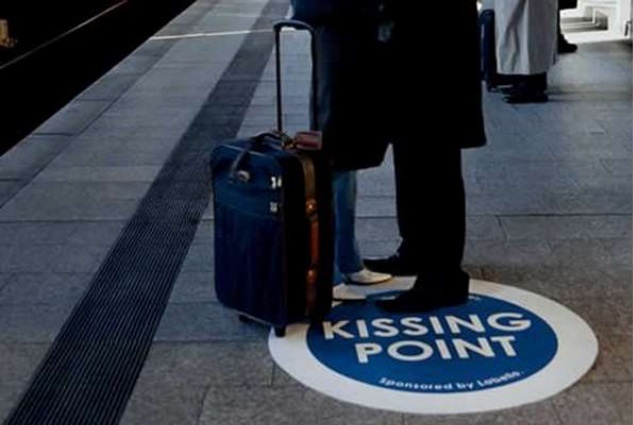 Lip balm brand Labello decided the best way to market their product was to paste stickers in public transport stations that read “Kissing Point”. 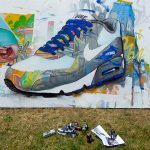 The razor manufacturer Wilkinson advertised their Quattro Titanium razor in one of the most unusual places: egg containers. 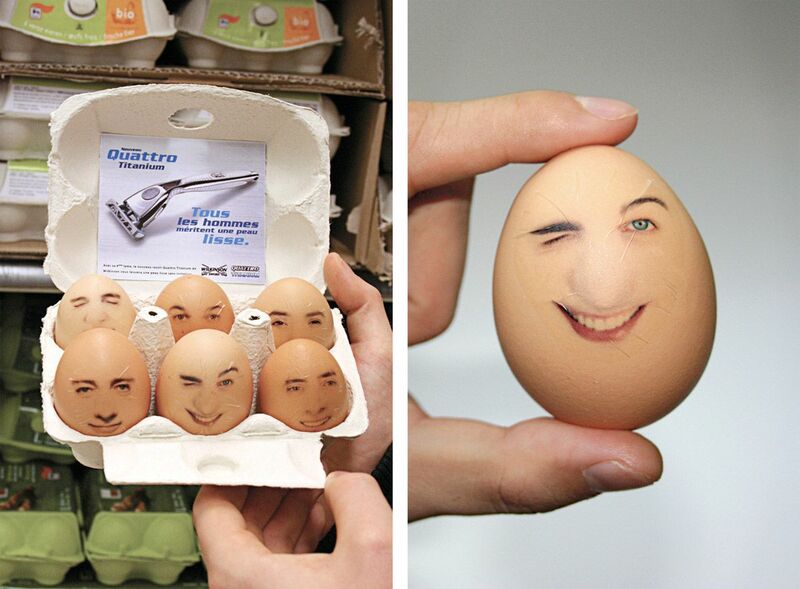 They pasted stickers of men’s faces on the eggs to show off what a smooth shave their razors could provide. 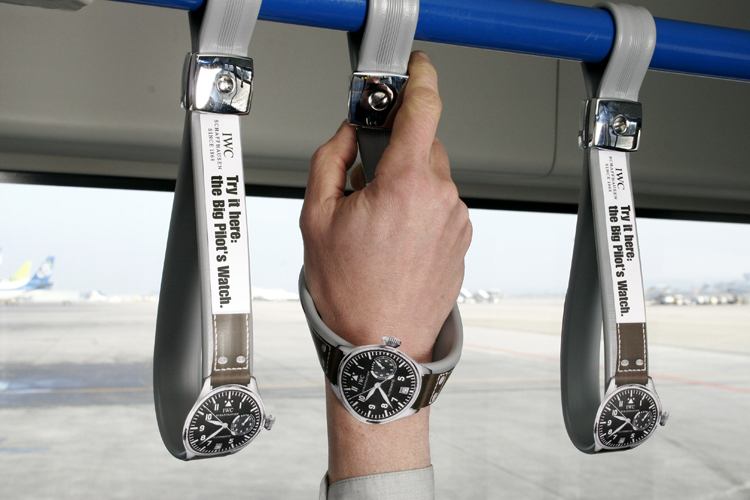 Definitely one of the most creative uses of stickers in marketing. 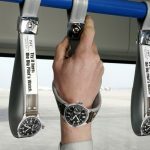 Canon decided to market their new underwater camera in the best place you could imagine. 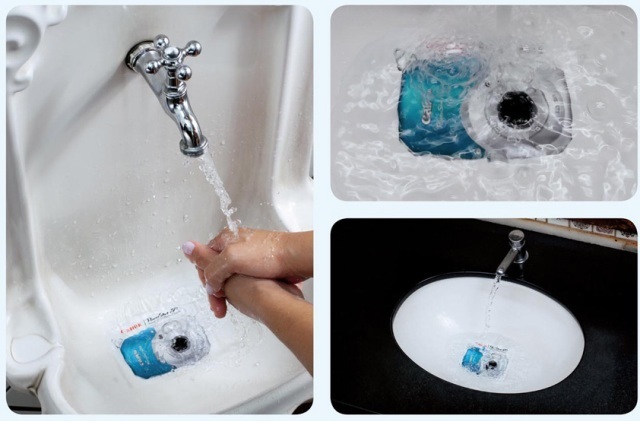 They placed stickers of their camera in sinks in public places to show that their camera could withstand submersion under water. 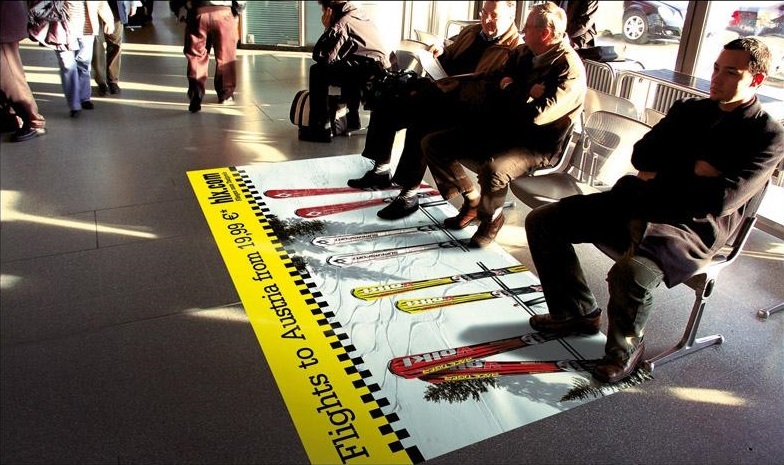 Travel agency hix.com placed stickers in front of public benches with sets of skis and a message “Flights to Austria from 19.99 Euros”.